In the world of competitive gaming, gamers of all skill levels are always looking to make sure they can outmaneuver and outplay their competition. HyperX knows this by heart, so they make it their mission to provide the best quality products for gamers to elevate their skills. 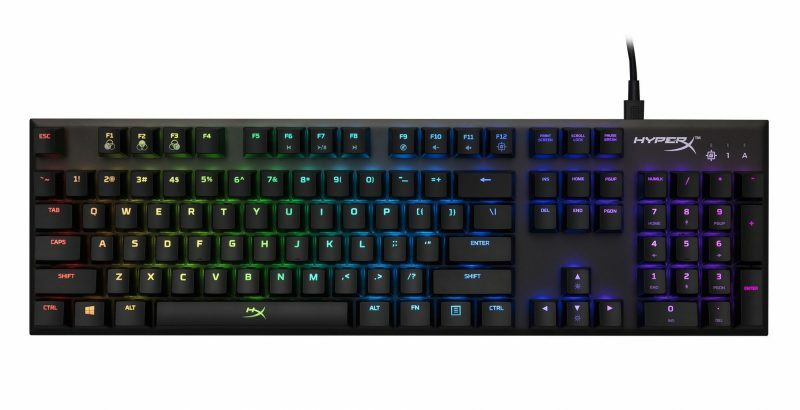 HyperX has released a new high-performance keyboard, the ALLOY FPS RGB. This new keyboard is designed to make sure that your skills are fully showcased all while looking good at the same time. The RGB backlighting can be customized to your preference with the HyperX Ngenuity software. The alloy FPS has a smaller design that helps gamers that have access to a small gaming space, giving them room for their gaming mouse. The frame of the Alloy FPS is made from solid steel to give players a sense of stability when they’re engaged in some intense gaming sessions. When it comes to the keys, you’re going to be looking at durable kailh silver speed key switches that are rated for 70 million keypresses. The alloy FPS also features an ultra-light actuation force that makes them ideal for gamers who need an advantage with split-second movements. The keyboard also features an onboard memory that lets you store up to three different customizations. So once you have your settings all dialed in with your personal light shows and macro settings, you can quickly access them anytime and anywhere. The alloy also features a USB charge port and a detachable braided cable that makes this keyboard extremely portable. There’s no denying that when it comes to PC gaming, the keyboard is king. And if you want to compete with the best, you’ll need to be equipped with a keyboard that will keep up with your performance. With a fully customizable game mode, 100% anti-ghosting, N-Key rollover features, and a highly durable frame all rolled into a compact and portable design, HyperX is making sure that your gaming is taken to levels you didn’t even know you had.